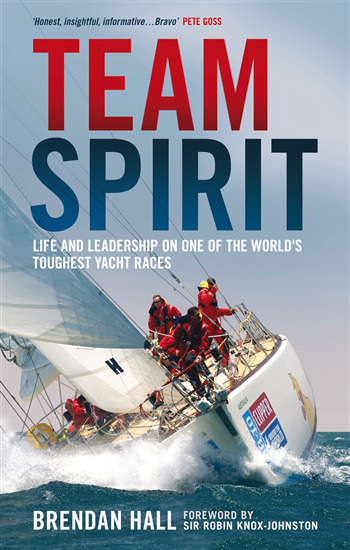 Team Spirit is a gripping account of a race on the edge, and a young skipper's determined journey to victory. The Clipper Round the World Yacht Race is the ultimate long distance challenge - a 35,000-mile circumnavigation of the globe, contested by amateur crews in identical racing yachts - and the winners are those who keep their focus the longest. The 2010 winner was 28-year-old Brendan Hall and his crew in Spirit of Australia. Although Brendan was the youngest and least experienced skipper in the race, the win was no accident - it was the culmination of years of training, skilled navigation and a leadership style way beyond his years. His leadership skills were soon put to the test - in the middle of a North Pacific hurricane, Brendan went to the rescue of an injured skipper on a competing yacht and skippered both boats across one of the most feared oceans in the world. Brendan's brutally honest, no-holds-barred account is revealing and instructive, with valuable lessons in leadership and management - as well as never giving up. Thrown in quite literally at the deep end, he is pushed to the limit, and learns lessons you can only learn the hard way. “My personal exposure to extreme challenges and an unforgiving, competitive environment is limited to dry land and motor racing; building the Formula One team that became Honda GP, Brawn GP and now Mercedes GP, so I was exposed to the meticulous planning, the careful people management, pure hard work and the extreme stresses involved in trying to accomplish big tasks. Brendan forced himself through an incredible adventure intended to test himself as both skipper and a leader. When the pressure increased, his instincts, training, attitude and clear thought kicked in. It doesn't surprise me that he was able to keep his crew motivated and bring his yacht home in first place.